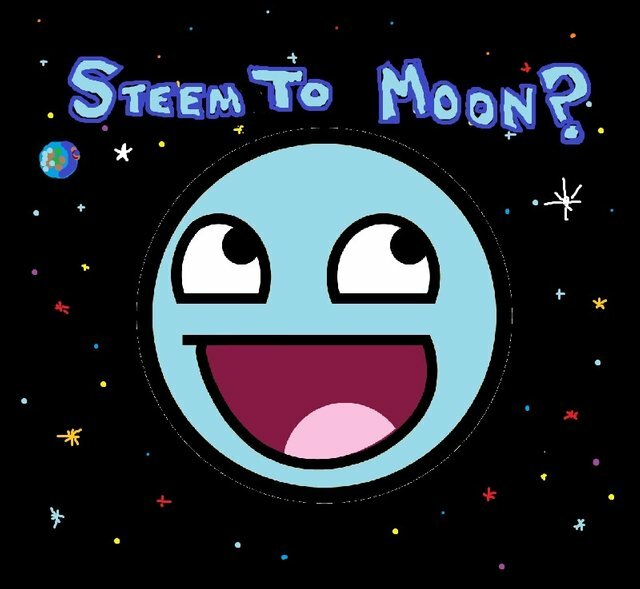 My Steem Value Estimation Just Launched Into Orbit... WTF?!? Very Click Bait, Such Shet Post, Many Downvote!!! Yes, it's non-news, but interesting none-the-less... also, I like to celebrate such non-moments in MS Paint. 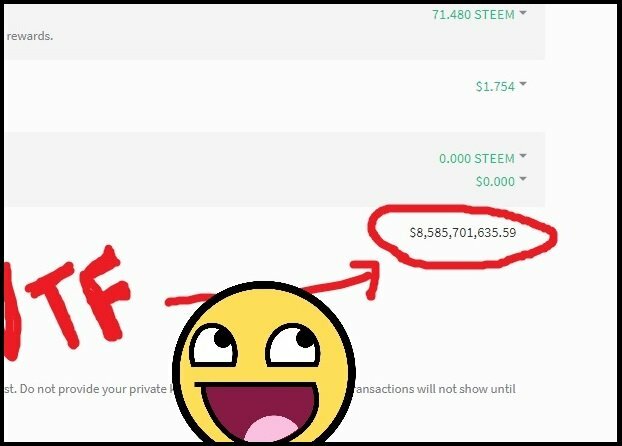 But anyhow, look at this screen shot of my "estimated steem value." Anyone know what's going on here? I'm squinting my eyes at this. The skeptic in me is calling foul, but... 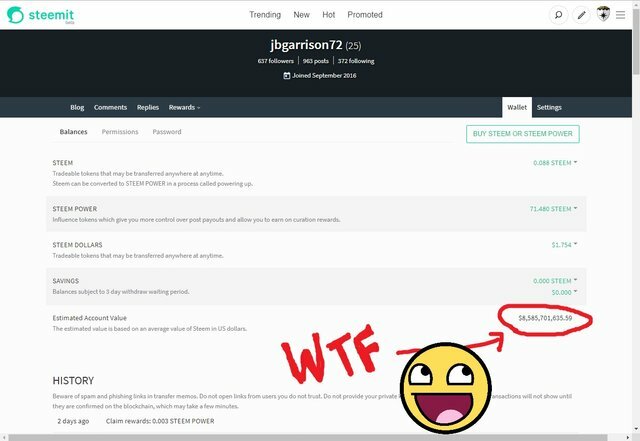 I'm gonna go ahead and enjoy this instance of Steemit trolling me anyhow... it's at least distracting me from the horror show that is my Coinbase account right now. I haven't posted in a long time but I continue to lurk ya'all. Hope all ya'all are having a good Turkey day (or whatever it is you're celebrating wherever you are on this lil' blue ball in spaaace). Happy Steambeans to you as well good sir. Everybody has had that happen. Not sure what the deal is.